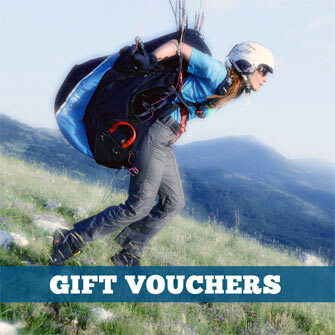 Flying helmets for paragliding and hang gliding. Charly Ace paragliding and skiing helmet. 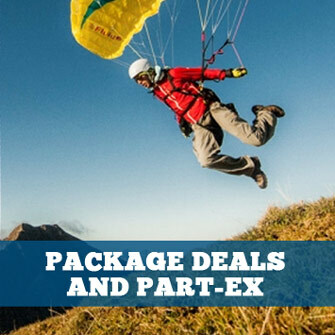 Very comfortable, safe and well-priced paragliding and winter sport helmet with or without visor and prepared for the mounting of a chin guard. Adjustable helmet with detachable ear pads and optional visor. Certified according to CE EN 966 (airborne sports) and CE EN 1077 (skiing and snowboarding). Ideal for tandem passengers or use as rental helmet. Full face freeflight helmet with 'cut' back and visor. Semi-open face helmet with visor. Sold only with visor. If you don't want a visor, see the Icaro Nerv instead. The same as the 4fight Cut Integral Grid, without the chin guard. Two shell sizes: S for S, M and L head lining; L for XL and XXL head lining. Sold only with visor. Icaro have been producing the SkyRunner since 1998 and it's still a great hit. The Ozone Nutshell helmet is made by Plusmax, specifically designed for airborne sports and conforms to EN 966 standards.